In this quarter, we published new maintenance releases of our WPF, UWP, and Silverlight control products. 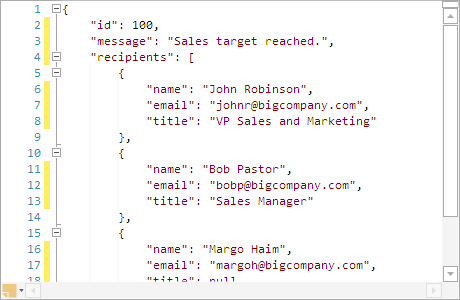 SyntaxEditor received numerous updates like a much-improved system for tracking line modification marks that works just like Visual Studio's (including showing reverted changes), a JSON text formatter, ability to merge new text changes into previous ones, and more. Docking/MDI received many new features and bug fixes and the new build is a recommended update if you using the 2016.1 version. The Shared Library added support for grayscale images on disabled controls. But most importantly, we added an alpha build of our upcoming Grids product containing previews of our TreeListBox and TreeListView controls. We've discussed these in several blog posts around the middle of the year. The past couple months we've focused on finalizing the TreeListBox and TreeListView controls and have been busy reimplementing our PropertyGrid control to be based on TreeListView. That work is mostly completed at this point. The new PropertyGrid we're making harnesses virtualization and is lightning fast. It's also extremely customizable, making it easier than ever to make custom property value editors or even control which properties show up in the PropertyGrid. We will be officially launching this new PropertyGrid control in a Grids product with the TreeListBox/TreeListView controls in early 2017 but might post a preview build of the new PropertyGrid in late 2016. 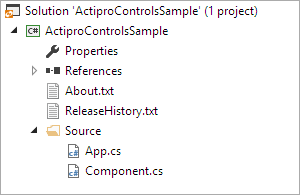 We also have been working on backporting our UWP Editors product to WPF. 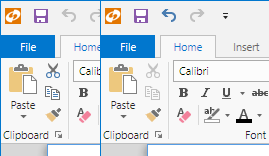 The editors found in that newer design are a bit simpler in nature (much lighter-weight in terms of UI elements) and very performant, while still providing the best features found in the current WPF Editors. We are preparing these new and updated Editors to also launch in early 2017, alongside the new Grids product. They will be ready for easy usage within the new PropertyGrid as well. If you have any interest in helping test some of these new controls, please write our support address or sign up for our Slack team.